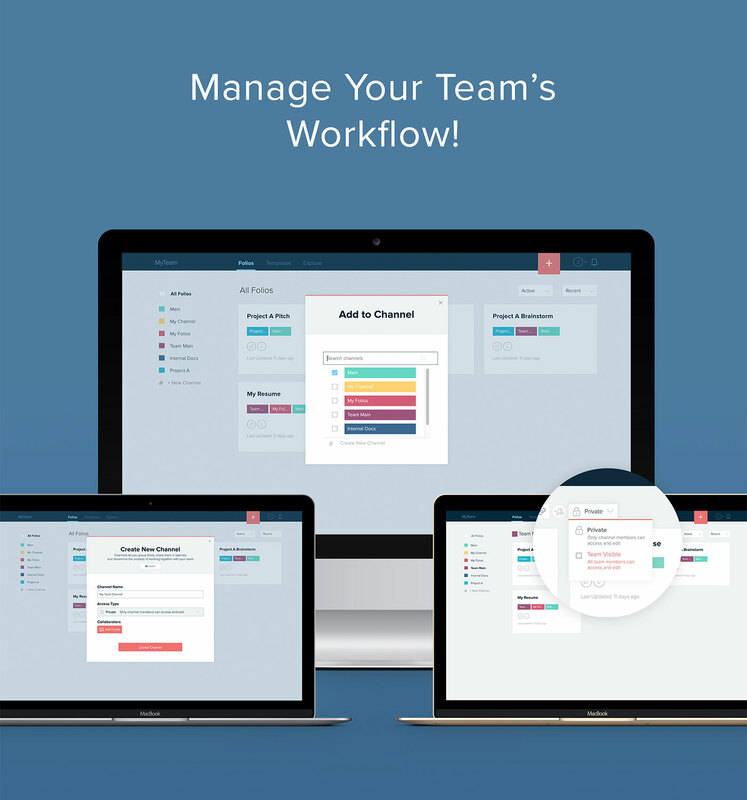 Xtensio is where your team's work flows. Build anything from strategic business docs, customer personas, proposals, one-pagers and landing pages with the ease of a web builder. Then quickly and easily reuse, update and personalize content for different clients and projects. Everyone on the team becomes a designer. Drag and drop interactive modules - image, video, graphs, charts. Change the color, background or size. Adjust the layout however you need. Define your team's style guide with your company's fonts and color palette to lock branding across the team. Customize shared links and add passwords to keep your organization's collateral private and secure. Work together internally and loop in clients to easily get feedback. All changes are saved and synced across all devices. Everyone is always up-to-date and your inbox is clutter-free. Deliver visually stunning living documents and presentations that engage and captivate. Send important collateral as a customizable web link. Add password protection. No more sending multiple attachments and versions with every update to a document. With one click, your folio turns into a digital slideshow. Present an engaging and interactive marketing pitch from anywhere. Each section of the folio becomes a slide. No matter how much you try to move completely to digital, some collateral will need to be saved as a hard copy. Export your entire folio or individual elements as PDF or PNG files. Xtensio for Business offers a private and branded workspace for connecting your development, product, sales, marketing and management teams with the information they need. Quickly and easily customize content for different projects. Save any folio as a custom template for your team to reuse again and again. You can even embed it on your website to build your brand. Organize your projects and documents by channel — client, campaign, asset type, internal reports, etc. Add collaborators or share the channel link so everyone has the access they need, when they need it. Keep track of your team's workflow with in-app notifications and track engagement with folio stats. You'll be able to adjust your process for efficiency and identify new growth opportunities. Utilize our templates and resources for different stages of your agency's process — from uncovering your ideal customer and product-market fit to creating proposals and pitches, building client campaigns and case studies or organizing internal reports. Remember, you can always start with a blank slate to build anything you need. Smart and professional layouts with instructional placeholder copy. Save any template as a folio and start editing to make your own. Add to your dashboard with one click and use it as a starting point for your own project. Companies, concepts, people, and names below are imaginary. Designs and layouts are for your inspiration. Join teams using Xtensio to reach their goals more efficiently. Xtensio allows us to create attractive deliverables for us to share with clients and get feedback. We're able to quickly make repeatable templates again and again. Simple to use, lots of templates, online and easily editable. A great marketing tool to brainstorm ideas, create personas and develop strategies. 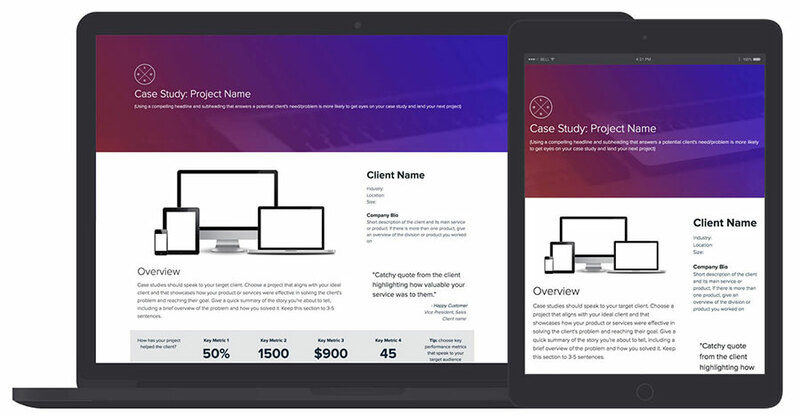 Creating buyer personas and beautiful client-facing documents has never been easier. Definitely better than your standard agency deck or PPT presentation.